Move and Resize the Clipart using the buttons above. Move and Resize the Photo using the buttons above. Click and drag inside the box to move or drag the square handles to resize. This is a larger version of our popular locket. It is engraved with a simple, elegant peace dove, the Holy Spirit. A perfect place to keep a memento of someone special to you. Or a perfect gift for a young lady making communion or confirmation. The back is plain and engravable for added personalization. It comes with a matching sterling 18" chain and Gift Boxed. Customize the INSIDE LEFT section of the Locket by choosing from the options above. Choose the font style for your message engraving, edit the text or select from the Message Engraving Ideas by clicking on the link below. Enter the text and select the font style for your message engraving. We use the highest definition lasers to engrave your artwork on your locket. Laser Engraving is deep and will never scratch off. Select the method for sending your photos from the options below. Uploading your photo will give instant preview on your locket. We size your picture down and print it from our Enhanced Definition Printing Press on High Quality Photo Paper. 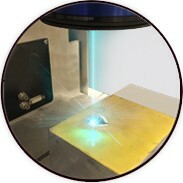 We then run it through our Laser Cutter to cut around your picture to fit perfectly inside your Locket. Note: You can always order your Locket without a photos and then send it back later to have the photos lasered in. Upload Your Pictures through our web-site. (if you do not have digital files on your computer, please choose the mailing us your picture option) Please make sure you give us good clear images. If you have other formats such as PDF, DOC, TIFF or any other file please select e-mail option. You can e-mail us your digital pictures. You select this option then go through the checkout process. Once you finish you can e-mail your pictures along with the Order Number given directly to us. You'll get an e-mail confirmation once we receive your pictures. 99% of the time, the quality of the digital images are fine. If we run into a quality issue we'll contact you. Please put the ORDER NUMBER in the subject line. You Can Physically Send us your pictures through the US Mail, UPS, Or Fed-Ex. Please make sure to include the order number that you receive when you are through with checkout. You will get an e-mail confirmation once we get your pictures in the mail. Customize the INSIDE RIGHT section of the Locket by choosing from the options above. Customize the REVERSE SIDE of the Locket by choosing from the options above. Then click on the Next Step button to select a chain. Upload, email or mail in your photo and we'll digital enhance, crop and print on In high definition photo paper. 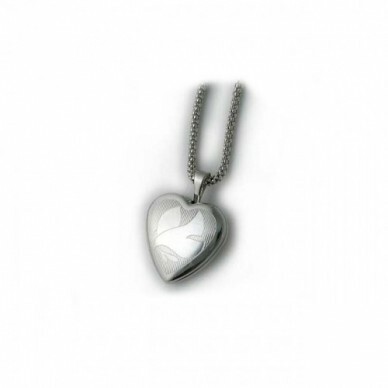 We’ll then professionally laser cut the pictures perfectly and delicately place them inside your locket. You can personalize your locket even further with a message, monogram and even a selection of Artwork. We use the highest resolution laser engravers in the market to produce the most legible engraving ever. Sign up for Heartsmith emails today. Site content and photos © 2019 Heartsmith All Rights Reserved.